Learning your credit score could surprise you. If it turns out to be a not-so-pleasant surprise, don't dwell on the problem — focus on a solution. Begin to take steps, starting today, to improve your credit score. Changes in your credit history are what affect your score over time. 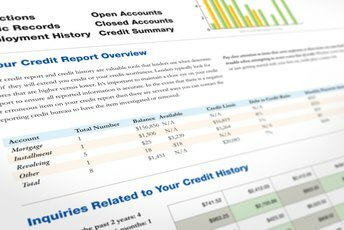 There's no guarantee exactly how long it will take to see results — it depends on algorithms the individual credit reporting agencies use and what else is in your report. One fairly quick way to improve your credit score is to resolve incorrect information listed on your credit report. The reporting agency usually must resolve the issue within 30 days, which could increase your score in that time frame. Paying down credit card debt is another way to boost your score — if you can reduce your credit utilization ratio (amount of credit used in proportion to available credit) then you may see a positive change within a few months to a year. If you have been making late payments on your credit accounts, 30 days late or more, stop that; start paying those bills on time and in full. This could improve your score in a matter of months as well. There is no exact time frame of when these actions will actually boost your score. Do You Have Any Credit? If you don't have a credit history, as is the case with most young people, that could cause you to have a very low credit score. You may have to start developing a credit history to improve your credit score. Apply for a new credit account, such as a credit card. Maintain a small balance and make payments on time. 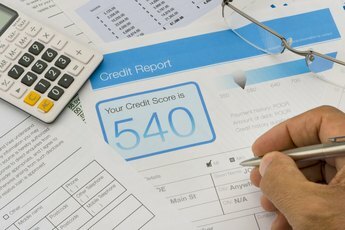 Handle the account responsibly over a year or so (make payments and do not go over the limit), then review your credit scores to see if they've improved. Keep your credit utilization ratio low and avoid piling up more debt after you see a positive change. Certain details stay on your credit report for the long haul and may continue to affect your score for years. Charge-offs and delinquencies remain for seven years, while bankruptcies stay for 10 years. Holding all other factors constant, you may not see a significant change in your credit score until these items get removed from your credit report. If you're very concerned about how quickly your credit score will move, consider signing up for a credit score monitoring service, which is sometimes offered by your bank. The monitoring service allows you to check your credit score to see how and why it changes. Change your behaviors and take positive actions to resolve issues on your credit report, then get an update of your score each month. Experian: Improve Credit Score: How Long Does It Take to Rebuild a Credit Score? How do I Rebuild Damaged Credit & Get a Secured Credit Card/Loan? How Long Does It Take to Fix Your Credit Score? How Do I Remove Derogatory Credit Remarks From a Credit Rating? How Wet Should I Keep My Compost Pile? Does Ending a Credit Card Hurt Your Score? What Does "Rescore" Mean on a Mortgage Loan Application? How Long Does It Take to Raise Your Credit Score 100 Points? How Do I Improve a Bad Credit Score? 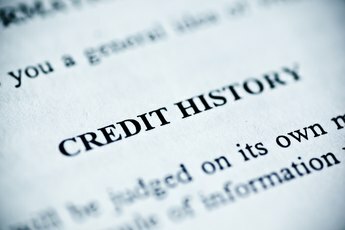 Will Removing Derogatory Items From Credit Report Improve My Credit? 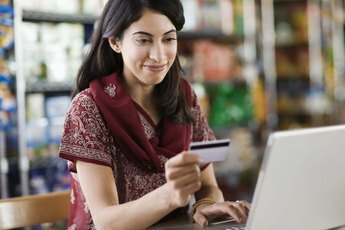 How Long Does It Take to Build Credit With a Credit Card?